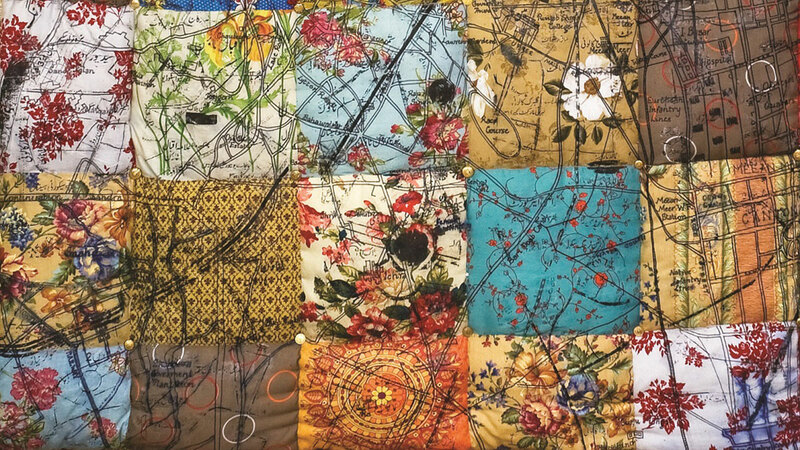 1: Quilt (72″ x 72″) 19th-century map of Lahore printed on cotton filled with synthetic American wool. 2: Painting 19″ x 23″ in a Chinese faux gilded frame. 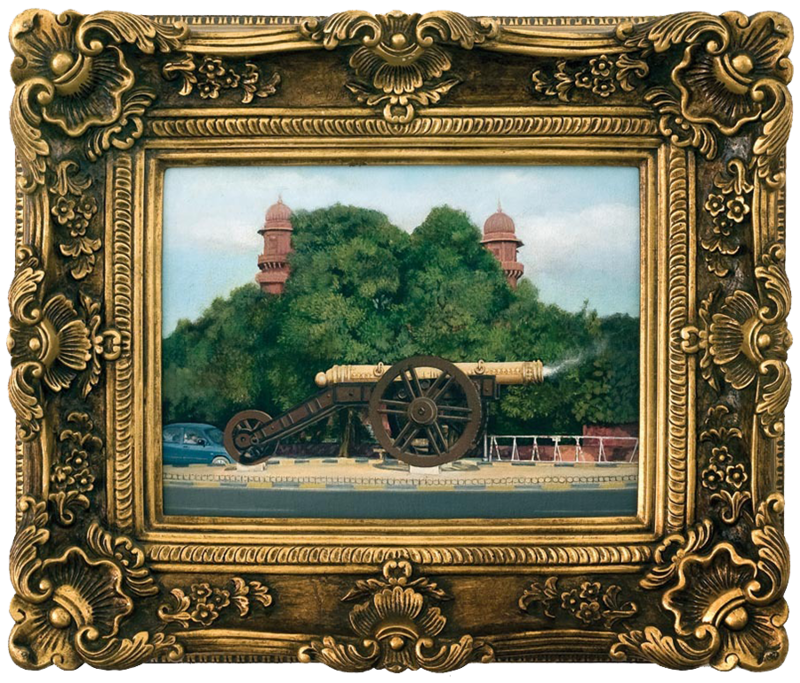 A museum-like painting of the legendary ‘Bhangian Wali Tope’ or ‘Kim’s Gun’, following the November 2007 events, seems animated with the smoke coming out of it. 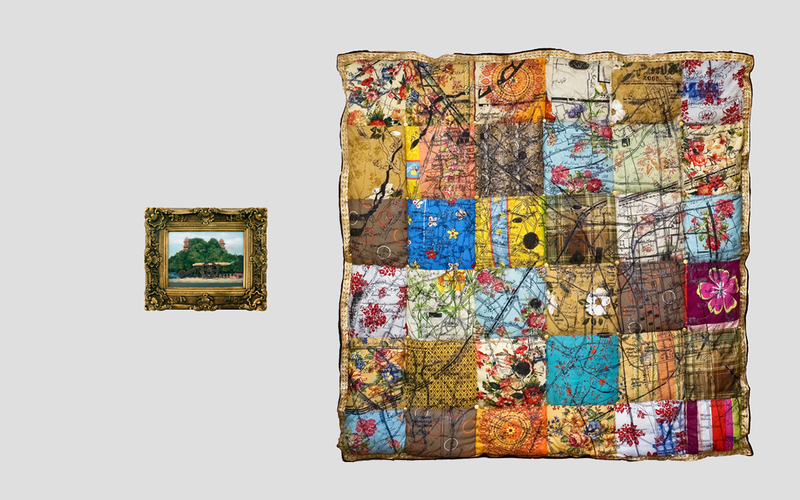 It is juxtaposed with a quilt that has two superimposed maps of Lahore; one from the 19th century British India and a current one. Bhangian Wali Tope played havoc on many a battlefield for more than hundred years, before being taken over and put on display on the Mall by the British in the 19th century.